1000102 BL60 VOLVO BL60 Backhoe Loader Service (Repair / Workshop) Manual. Service Bulletins & Letters. Diagrams & Schematic. 1000104 BL60B VOLVO BL60B Backhoe Loader Service (Repair / Workshop) Manual. Service Bulletins & Letters. Diagrams & Schematic. 1000107 BL61 VOLVO BL61 Backhoe Loader Service (Repair / Workshop) Manual. Service Bulletins & Letters. Diagrams & Schematic. 1000110 BL61 Plus VOLVO BL61 Plus Backhoe Loader Service (Repair / Workshop) Manual. Service Bulletins & Letters. Diagrams & Schematic. 1000112 BL61B VOLVO BL61B Backhoe Loader Service (Repair / Workshop) Manual. Service Bulletins & Letters. Diagrams & Schematic. 1000115 BL70 VOLVO BL70 Backhoe Loader Service (Repair / Workshop) Manual. Service Bulletins & Letters. Diagrams & Schematic. 1000117 BL70B VOLVO BL70B Backhoe Loader Service (Repair / Workshop) Manual. Service Bulletins & Letters. Diagrams & Schematic. 1000120 BL71 VOLVO BL71 Backhoe Loader Service (Repair / Workshop) Manual. Service Bulletins & Letters. Diagrams & Schematic. 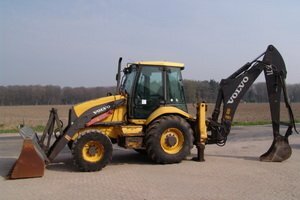 1000123 BL71 Plus VOLVO BL71 Plus Backhoe Loader Service (Repair / Workshop) Manual. Service Bulletins & Letters. Diagrams & Schematic. 1000125 BL71B VOLVO BL71B Backhoe Loader Service (Repair / Workshop) Manual. Service Bulletins & Letters. Diagrams & Schematic.